April 19, 2017 (Toronto, ON) – The Ontario Cycling Association has chosen Ride for Karen as its charity ride for 2017. The 16th annual Ride for Karen, which will take place on Sunday, August 13th, raises money to support children with cancer and their families. The original Gran Fondo in Ontario, Ride for Karen was founded by Kirk and Kris Tobias as a tribute to their mother, Karen Tobias, who passed away from breast cancer. The event has raised more than $2.4 million to help build and furnish new cancer care facilities, provide much needed resources for cancer support centres and send kids with cancer to camp. Thanks to sponsorship support from Scotiabank, all of the funds raised from the ride support programs at Camp Quality, Camp Oochigeas and Camp Trillium. “We’re thankful for the support from the Ontario Cycling Association. This will allow us to connect with over 12,000 cyclists from all over Ontario and encourage greater participation in our event, helping to send more children with cancer to camp,” says Ride for Karen co-founder, Kirk Tobias. The Ride for Karen offers 100km, 160km and 200km distances, with pace groups for all speeds. Participants ride through the beautiful countryside north of Toronto while enjoying full ride support, including police traffic control, free kits (there is a fundraising minimum), premium food and beverages, free bike tune ups and high value prizes. This year’s ride will take place at the Markham Fairgrounds, 10801 McCowan Road (at Elgin Mills). Advance registration is $100 with no fundraising minimum. Participants who raise $250 and over will have their entry fees waived. Started in 2002, Ride for Karen is an annual cycling event that is held as a tribute to the life and legacy of Karen Tobias and to raise money for charities that help people living with cancer, and those who care for them. Over the past 15 years, Ride for Karen has raised over $2.4 million which has been used to help build and furnish new cancer care facilities, provide much needed resources for cancer support centres and send kids with cancer to camp. 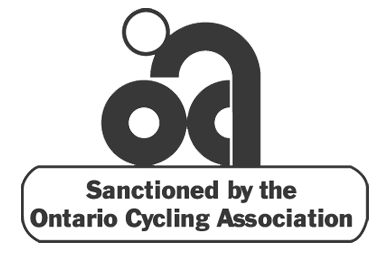 The Ontario Cycling Association is the provincial governing body for the sport of cycling in Ontario representing the sports of Road, Track, Mountain Biking, Downhill, Cyclo-Cross, BMX and Para-cycling. We develop, promote and deliver quality programs and events for recreational riders through to competitive racers.